Lord Jesus, from the height of Your throne of suffering You reveal the depth of Your love for us. Lifted up from the world on the Cross, You draw everyone to Yourself. The Cross is both the symbol and the act by which You raised up the world from all its sin and weakness. But You also ask for our cooperation. Help us to die to self so that we may live for You and our fellow human beings. Set us free from the slavery of our passions, our prejudices, and our selfishness. Enable us to endure the pains and trials of this life and really help to change the world in our own small way. Keep before our minds the conviction that in the Cross is salvation and life as well as defense against our enemies. Through the Cross heavenly grace is given us, our minds are strengthened, and we experience spiritual joy. In the Cross is the height of virtue and the perfection of all sanctity. Let us take up our cross, and follow You through earthly sorrow into eternal happiness in heaven. Amen. 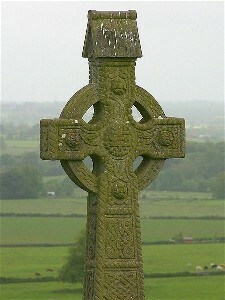 Image above is a Celtic Cross from the Rock of Cashel Ireland. Finshed saying the Holy Cross Prayer, Bring me Back to the Prayer List Please.